Getting a data security strategy right is critical for any business. In the final blog of his data security series, Scott Hluhanich explains what you need to know. Gartner emphasizes the importance of data discovery and classification. Classification enables the creation of attributes for data identity, which help determine how to treat and secure data. Defining data via data discovery and classification is an often overlooked, yet critical, component of data security and control. Organization leaders can’t adequately protect data if they don’t have knowledge about what data exists, where it resides, its value to the organization, and who can use it. The E-WorkBook Cloud provides a means for easy data classification for each experiment. Each experiment created in E-WorkBook contains metadata tags, providing a method for instant identification of protected data in the case of misfiling. A simple routine database search immediately reveals whether any protected information has been placed in locations with insufficiently restricted access. Only the designated groups or individuals are allowed to access certain data entities based on their permissions. When data is properly stored and secured, it must be protected by assessing a user’s needs and providing proper permissions for access. Only authorized users should be able to access data that requires stringent security. Permissions in E-WorkBook are assigned to specific users or groups of users and can be easily reassigned by a designated system administrator. Nearly every action in the system can be granted or revoked as a permission. Effective access control is not just about putting up barriers to entry, it should also enable more visibility into what specific employees are doing within specific systems. Privileged user monitoring and auditing is a large part of the Carnegie Mellon Computer Emergency Response Team’s (CERT) recommendations for prevention of insider threats and for compliance reporting of administrator actions. 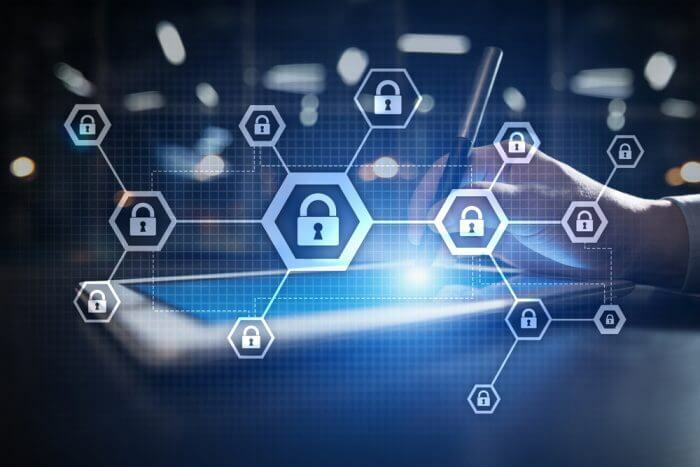 Many organizations lack the capability to continuously monitor and audit access to help ensure only properly authorized individuals are gaining access to the internal network. This type of activity monitoring is also emphasized by Gartner as an integral part of an effective data security policy. Live data monitoring allows for immediate action to mitigate and prevent data breaches. With the E-WorkBook platform, each user’s activity, including the viewing of records in the system, is documented by the system audit log. The system audit log allows forensic analysis of user activity should a breach occur. In addition to an audit log, a dashboard of user activity can be displayed, making user activity easy to track. Lastly, the US Computer Emergency Readiness Team recommends that organizations limit the use of external storage devices, such as USB sticks and external drives. This includes banning the use of personal devices and implementing data security policies that ensure that secure sockets layer (SSL) features are used to encrypt data during transfer. The E-WorkBook Cloud offers multiple features that help to reduce or eliminate the use of external storage devices. A web-based deployment of E-WorkBook allows secure file transfer to an E-WorkBook experiment from any computer with a network connection. The E-WorkBook PDF print-driver allows reports to be printed from any networked instrument directly to E-WorkBook. And the E-WorkBook data import utility facilitates transfer of structured data from an instrument or network file share to E-WorkBook. To find out more information about The E-WorkBook Cloud’s security and robustness, you can download our whitepaper here. You can read part one and part two of Scott Hluhanich’s data security series here.